Quilting on the Square, a small-town treasure located in Holton, Kansas, serves quilters all over the world with their online business. Patterns and samples ranging from traditional to whimsical find a home in a former dry goods building. Quilts and wall hangings featuring paper piecing dominate the stitched samples at Quilting on the Square. Front row, from left: Karla Pfeiler, Connie Morgan, Mary Pfeiler (owner), and Mark Pfeiler (owner); back row: Nancy Little, Jo Krogman, Michaela Little, Alicia Busey, Jim Hickey, Deb Wulfkuhle, and Carol Huyett. Quilting on the Square is a Judy Niemeyer-certified store, and quilts based on her patterns, such as Feathered Star Queen and Bali Fever, are customer favorites. Owner Mary Pfeiler designed Grandpa’s Buzz Saw for Banner Creek Designs, the shop design company. A sampling of quilts made using the Tumbler Tool—designed by owner Mary Pfeiler—and varying sizes of fabric strips team up in a colorful display at Quilting on the Square. An abundance of simple patchwork units—Four-Patch, Nine-Patch, and Flying Geese—combines for a cozy harvest-color quilt. Shop owner Mary Pfeiler designed Reap What You Sew for Quilt Sampler® Fall/Winter 2013 magazine. A curling vine pattern is the machine-quilting star of shop owner Mary Pfeiler’s Reap What You Sew. 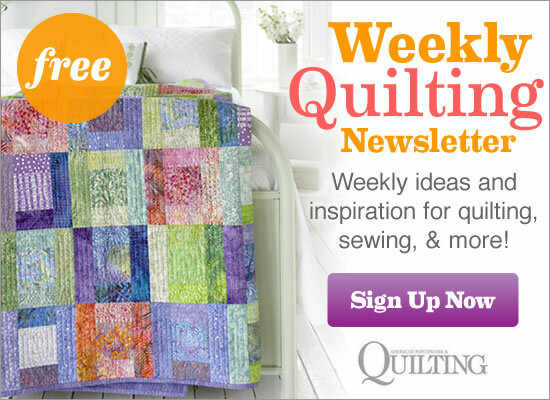 Contact Quilting on the Square to purchase a copy of Quilt Sampler® Fall/Winter 2013 magazine, pick up the issue at your local quilt shop or newsstand, or get the digital issue online. Peek inside StitchCraft, another quilt shop featured in the Fall/Winter 2013 issue.